How does ACS calculate your points? The NOC code 261313, refers to the profile, of “software engineers”. To get the 75 points for this profile while applying for Australia immigration as per the 189 visa, a candidate has to know all the categories as per which points are allotted. The 75 points are only awarded once the skill assessment report arrives from the Australian computing society. Your number of points for the factor of your “work experience” is only included in this report. It depends on how many years of your native country experience is included in the Assessment Report generated by this authority. It’s important for you to know, that, in spite of having more than 3 years of experience a candidate can have some years of his experience ruled out by the ACS. So, his worthy years of experience as per ACS differ from his real years of experience. The ACS only considers that period of employment as valid when the experience earned was closely related to ANZSCO code nominated. At least 65% of the duties which have been undertaken as part of the job should conform to the job duties listed for the specific ANZCO code. The report from ACS comes in 2 months. So, at that time, based on the experience evaluation of the candidate, he gets to know how much points he has. He can the file his expression of interest provided he has scored “superior English” levels in IELTS. The candidate can earn the highest number of 15 points for his experience equivalent to 8-10 years if assessed so by ACS. For earning the rest of the 75-15=60 points, he should have superior English(20) levels and he should have, his age between, 25-32 (30 points)and he should have a bachelor’s degree in software engineering(15) or a diploma(10) done post his secondary education. Why get the PR from Australia? The candidates have the benefits of getting the PR of Australia. The candidates get to live in a country which has an astonishingly high number of employment opportunities. once he is old. To access this age pension, one needs to be at the age of 65 or more. However, to get such benefits, the candidates should have, resided and worked in Australia for a long time which is equivalent to 10 years. This is the waiting period, for the disability support (age pension) for the older people living here. It’s true that a candidate has to get his income assessed for this purpose which will decide how much pension he can receive. This income will include his pension levels which he receives as part of his retirement from a job. For calculating the level of your payments as per this government age pension, your wife’s pension due to retirement from her job is also included. If the combined income of a couple is higher than 304 AUD for every two weeks, it’s important to know, that an amount of 50 cents is reduced for each dollar earned above 304 AUD. This country also has payment support for those who are unemployed. 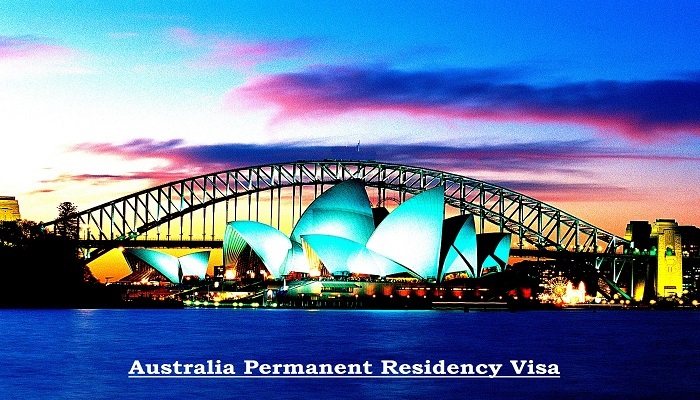 Australia 189 visa, Australian PR Australia PR. permalink.